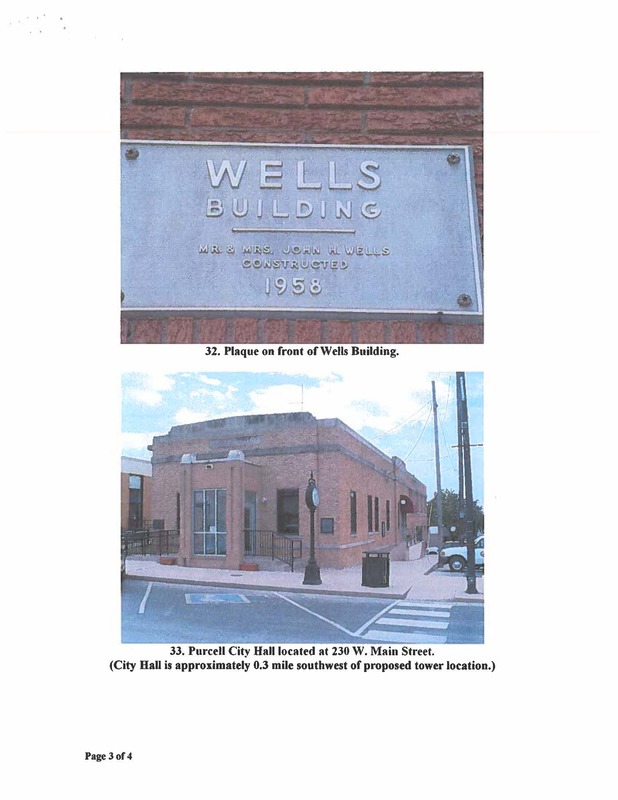 A mix of one and two stories, the Purcell City Hall is rectangular (30′ X 121 ‘) and is constructed of buff brick laid with a running bond. The roof is flat with parapets capped with cut limestone. Window openings, filled now with new metal encased panes, rest on pre-formed concrete sills. A limestone crest and a brick frieze above end and side entries, and doorways with sculpted limestone jambs and lintels framed by a stepped facade lend the building an art deco architectural style. Although the WPA contributed toward the completion of this building, the project was authorized and virtually completed by the FERA, the predecessor of the WPA. 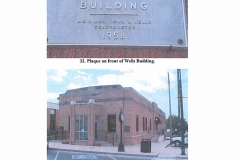 Since it was not principally a WPA project, it has not been nominated for the National Register. VERBAL BOUNDARY DESCRIPTION: Lots 1 and 2, Block 117, Purcell original plat.